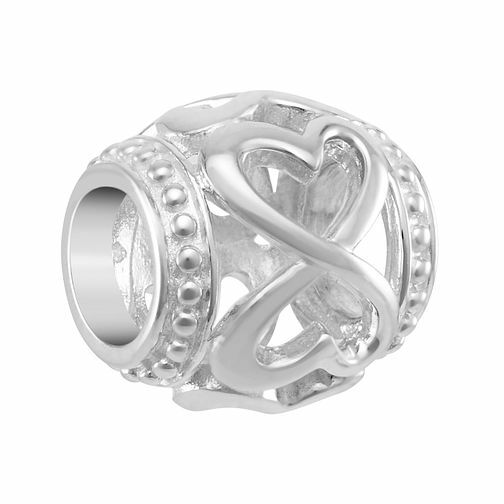 Pretty as a picture, this stunning sterling silver spacer charm is a perfect addition to your Chamilia bracelet. Heart shaped cut-outs are paired together inspired by the infinity logo, representing endless love. A sentimental and stylish charm to treat yourself to, or to present to your special someone.